It is mid-August and some kids are already back in school, but here in northern NJ summer camp programs have ended and school starts after Labor Day. It is prime time for summer outings. 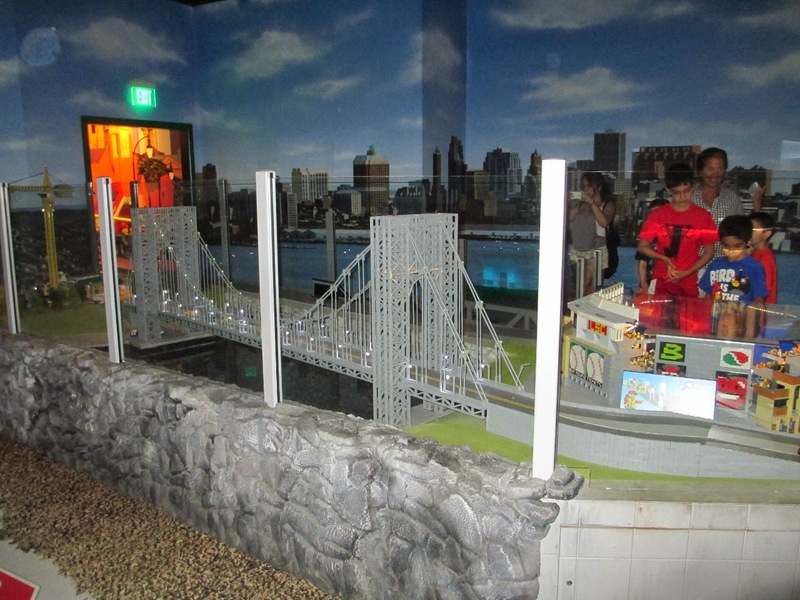 Yesterday my husband and I took our 5 year old grandson to the LEGOLAND Discovery Center Westchester. We had a blast! 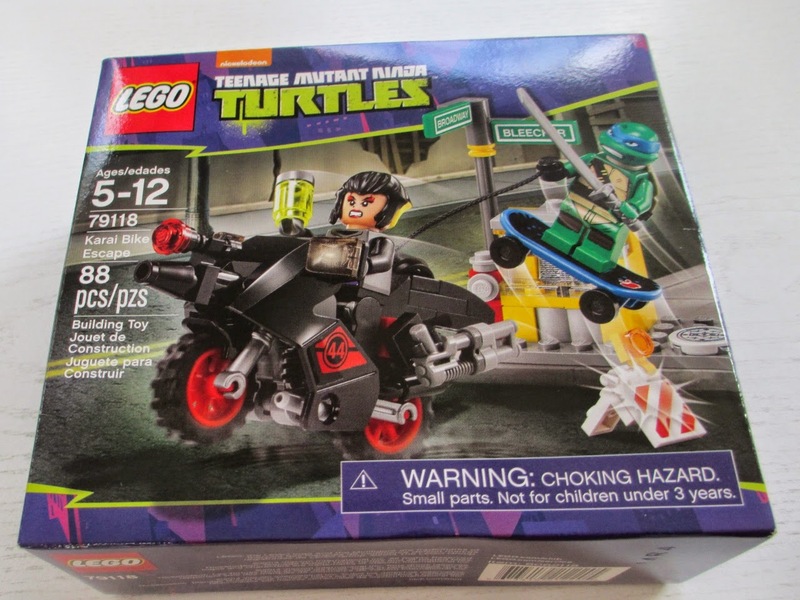 First of all, our grandson is a super LEGO fan and I have written about this before. 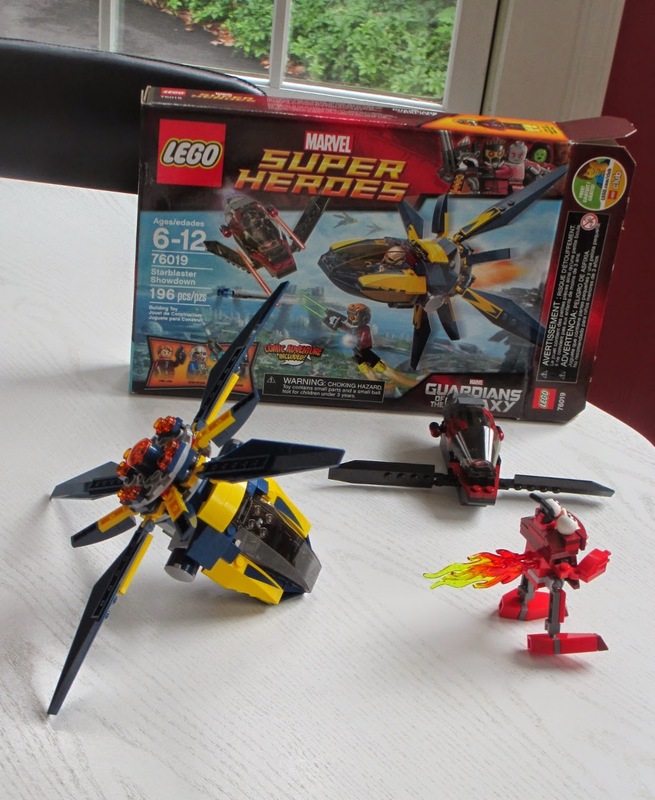 He has sets from a variety of current themes and is working through the sets that were my son’s at a breakneck pace. We were sure that Zach would enjoy the day but not sure how two grandparents would do. Turns out – just fine – tired but not wiped out. 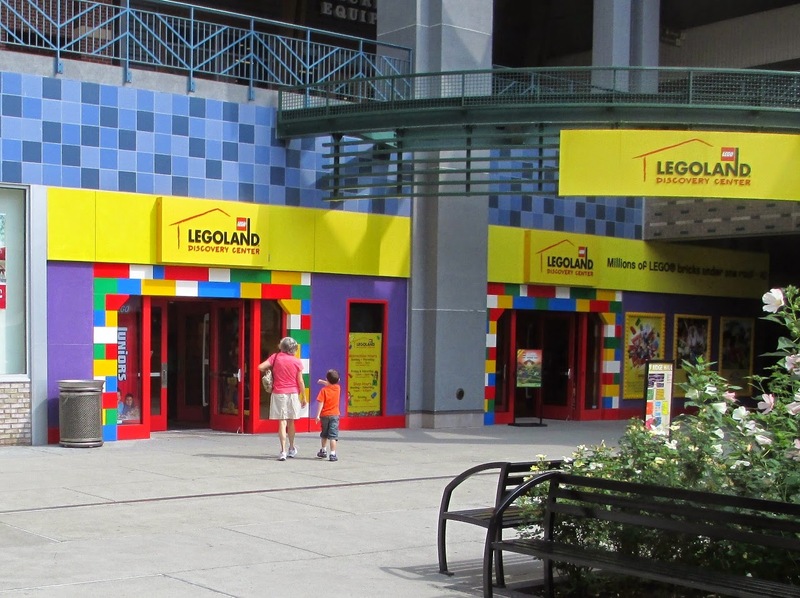 LEGOLAND Discovery Center Westchester is actually in a huge outdoor shopping center with a parking garage half a block away. However, it is indoors and cooled to a comfortable temperature. 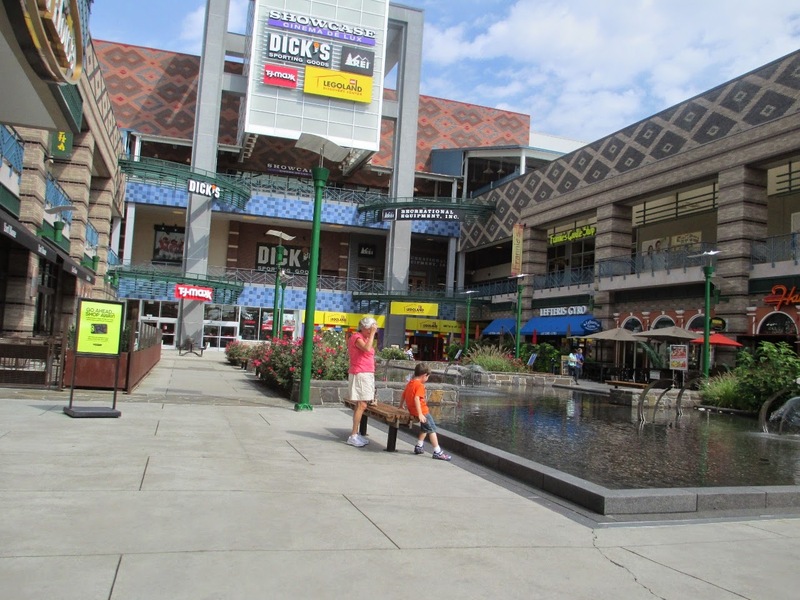 First we stopped for a few minutes and enjoyed this outdoor fountain. Grandma was prepared with pennies and Zach enjoyed skipping some pennies. 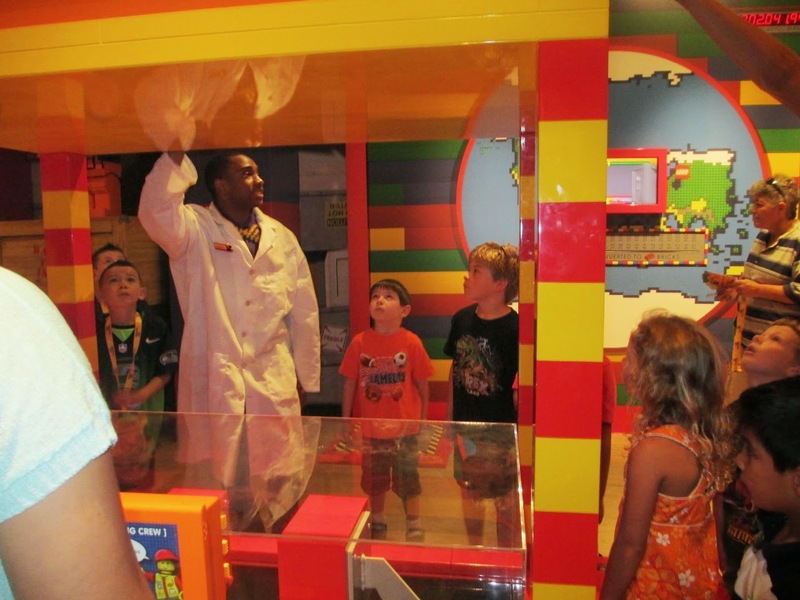 The first stop in LEGOLAND is the Factory Tour and “Dr. Brickabrac” leads the kids from station to station explaining how LEGOs are made. Zach was one of the kids who raised his hand and got to help at the mixing station. Next there is the Kingdom Quest Laser ride with laser guns that cause villians to explode on the wall. This was my least favorite part and I really felt they could have had an upbeat game rather than a kill and violent one. The particularly violent news lately made me really feel uncomfortable with this exhibit. Considering the average age of the kids, I think that this is inappropriate and should be reworked to something positive. 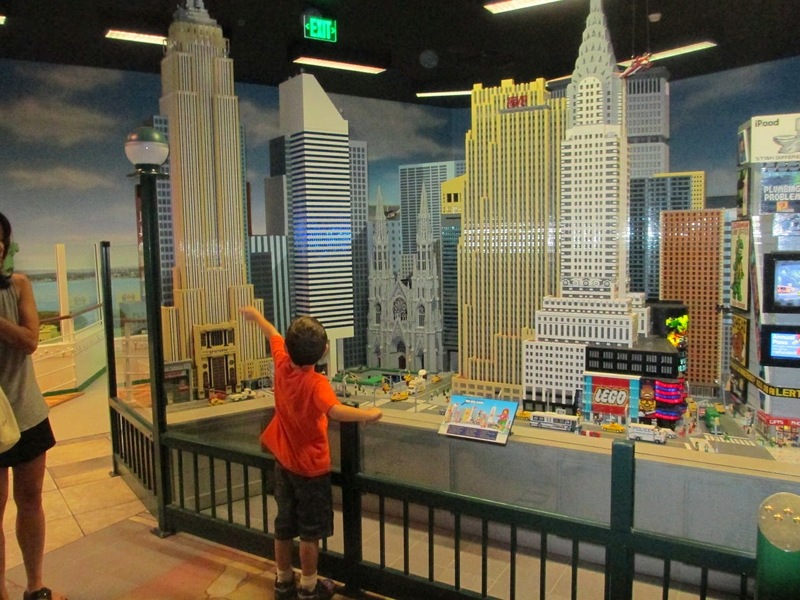 Next you are in an exhibit area – LEGO MINILAND - and this one is New York themed with big LEGO replicas of New York landmarks – everything from the George Washington Bridge to museums, Empire State building, NY skyline, statue of liberty, subway series baseball stadium and more. You could push buttons to turn on lights or cause some to move. Lots of fun and picture taking in this area. The NY Skyline Exhibit is a real WOW! The George Washington Bridge is one of my favorites - Maybe because I remember walking on it with my husband when we were dating. 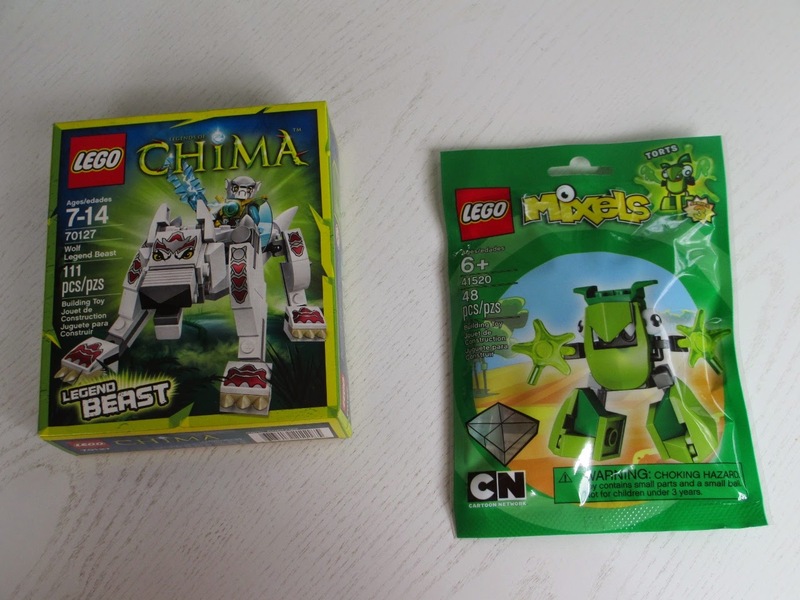 You can take as much time as you want here and then you move to a huge action area with a huge Play Zone - LEGO themed climbing set - in the center and surrounded by stations with activities that are good for different ages and interests. You can take pictures here but there is too much activity to bother for most people. Like lots of other kids, our grandson wanted to play on the climbing set for quite a while and benches were provided all around it so we sat and enjoyed watching the kids run wild inside. It was enclosed with a net so the kids can only come out and join their guardian in one place. The various stations include Merlin’s Apprentice Ride, LEGO Racers – which you build and can test drive on two tracks, a LEGO studios 4D studio, a LEGO Master Building Academy, DUPLO Village, LEGO Friends Center and more. 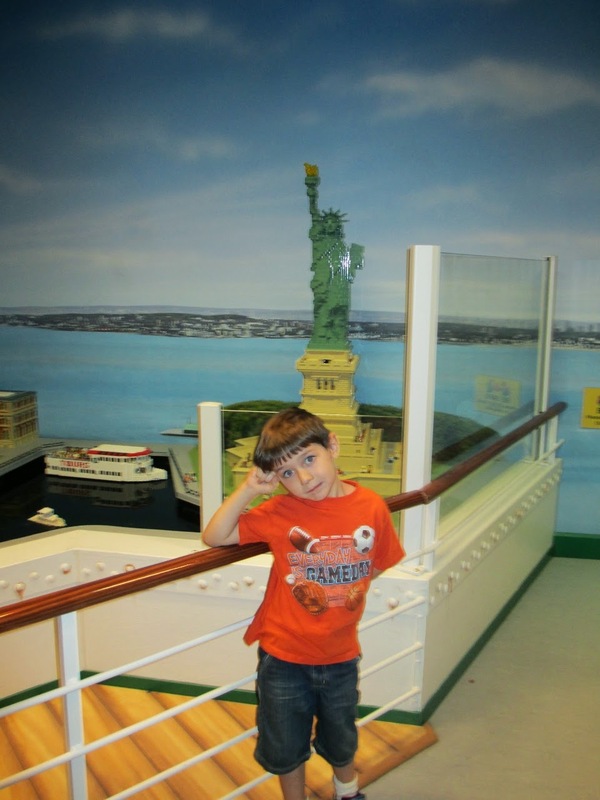 There is something for everybody so you can bring children of different ages at the same time. Zach enjoyed building a racing car and have it go down the track. Alas it crashed and when he rebuilt it he didn't want to send it down the even steeper track. We had lunch in the café and it was actually reasonably priced and they had a good selection including kids’ and adult sandwiches, Capri juice, Water, soda small fruit cups, apple slices, salads and chips. The facility was very clean and even the bathrooms were fun. Each stall had a different huge LEGO figure on the door and the kids enjoyed choosing their favorite. I wished I had brought the camera into the restroom – something I have never thought before. There was plenty of staff and they were friendly and helpful. On the way home we crossed the George Washington Bridge and sang the George Washington Bridge song for the whole length of the bridge. You don’t know what I’m talking about? Check it out here on youtube. 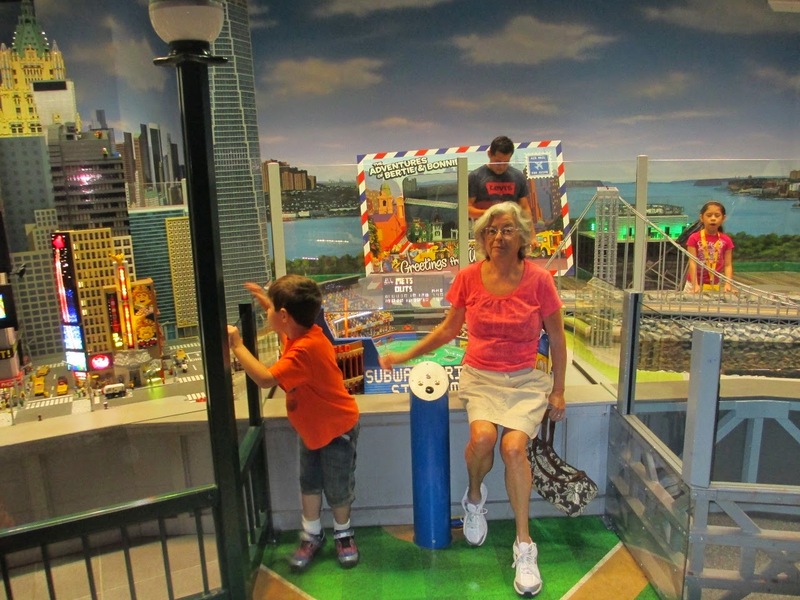 Pop, grandma and Zach all enjoyed ourselves on our outing to the LEGOLAND Discovery Center. 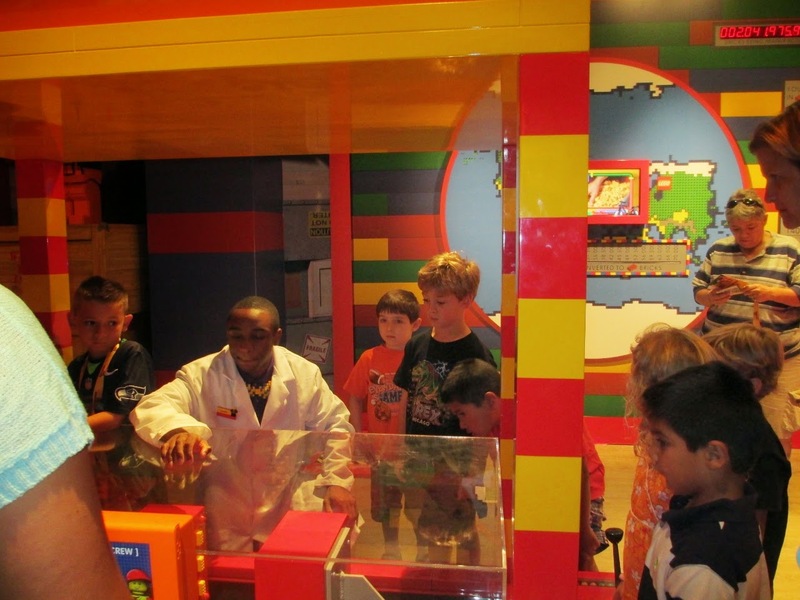 If there is one of these LEGOLAND Discovery Centers near you, check it out. It is a good grandparent outing – not a lot of walking, lots of hands-on activity choices and fun to watch the kids enjoying themselves in active and constructive play. This post makes me more determined to take my grandsons to LEGOLAND. Though I think the nearest to either of us is in San Diego. Time for a road trip! Thanks for the comment. I bet you would have fun at LEGOLAND. 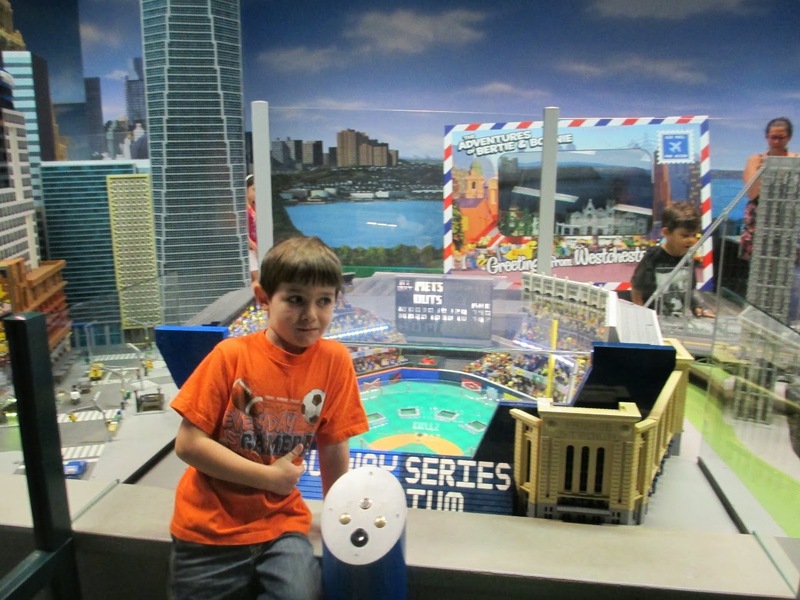 There is a LEGOLAND Park in Florida and I have my eye on that for a few years from now. If you lived in NJ you would know the George Washington Bridge song. It is quite an impressive bridge connecting NJ with Manhattan. Having taken the bridge and then seen the LEGO model, singing the song on the way home was extra fun.